It’s also an opportunity for parents and schools to join in with others to call on their local councils to introduce 20 mph speed limits across their areas; helping to create safe, enjoyable and attractive streets where children and their parents want to walk to school. Also taking place during the month is International Walk to School Day on 9 October 2013 and International Walk to School Week from 7-11 October 2013. 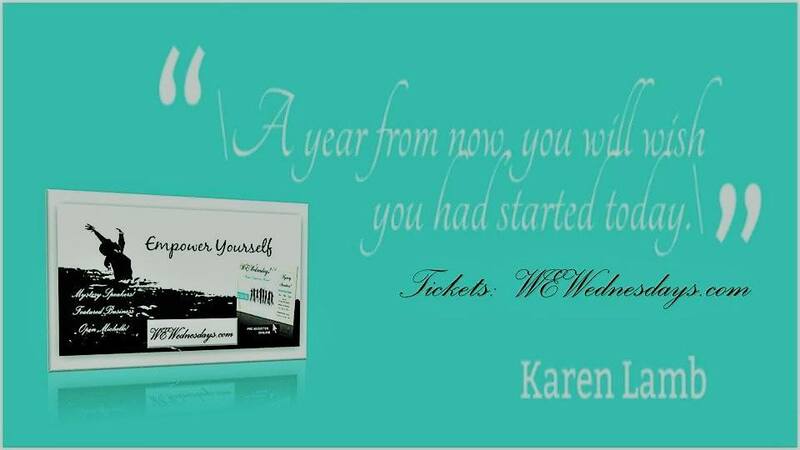 So there’s lots of opportunity for you to get involved! 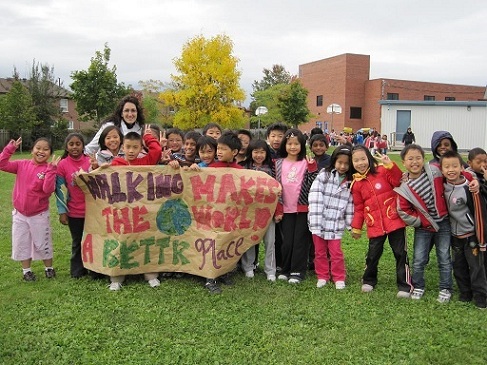 With organiZed walks spread throughout the month you can take part whenever it suits you and find out all about why it’s great to walk to school. Did you know, for instance, that driving the average school run for a year costs over £400/USD600? The organiZers of the event want to promote increased physical activity along with social interaction and a reduction in traffic congestion near our schools. Walking is healthy, green, fun and free. Yet today, less than half of all primary school children walk to school, and our obesity, pollution and congestion levels are rising. The official International Walk to School Month website has loads of facts and ideas to get you involved, and you can register your child’s school to take part. 2013 looks set to be the biggest and busiest yet, so get your walking shoes on! An international event creates a higher level of awareness of the issues surrounding the journey to and from school, and at the same time provides an opportunity to share expertise and promote best practice. For many parents around the world, the car has become the main means of transporting children to and from school. The proportion of journeys to school made by car has increased considerably in the last several years, with the knock-off effect being a gradual decline in the numbers of children walking to and from school on a regular basis. 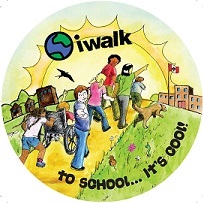 The general themes that are promoted during IWALK include: increasing daily physical activity, improving safety, enhancing the environment, reducing levels of crime, developing community cohesion, promoting social interaction and reducing traffic congestion, pollution and speed near schools. 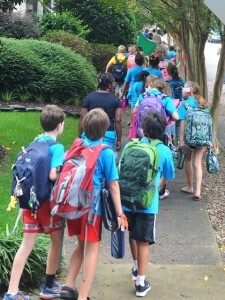 These IWALK activities are listed by appropriate audience. If you have a great IWALK idea, please send it to us and we’ll include it in this list. We have created a document outlining links between the activity ideas listed on this page and the Ontario curriculum, to make it easier to integrate these teaching tools.